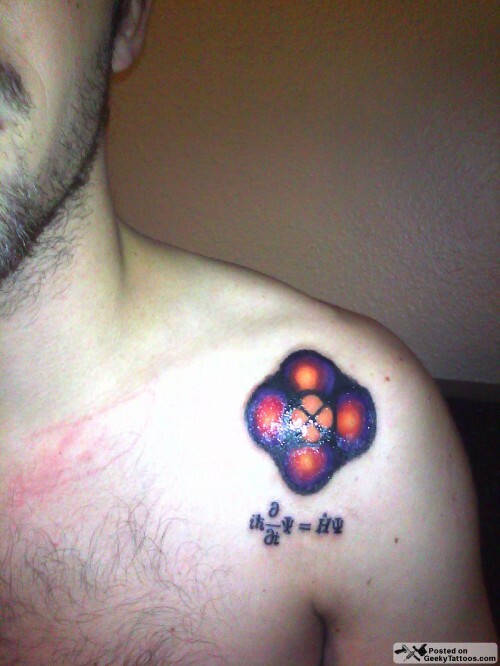 The tattoo is an orbital diagram for hydrogen with quantum numbers 4,2,0 and the schrodinger equation under it. I’m about to graduate with a physics degree so I got this to commemorate my achievement. Tagged with chest, orbital diagram, Schrodinger, Sideshow. I'm also about to graduate physics and I'm thinking of what tattoo to get for the same reason. Your atom with wavefunctions is much better than the bohr model I sometimes see, which we know it wrong.